The best experience you can ever get from NYSC is the one from the three weeks camp, where fresh graduates meet each other and interact with one another from time to time. Friends come together, and even strangers come together to live in harmony and oneness. we are taking a look at the FCT Abuja NYSC camp pictures, location, and experience. So many people have related their camp experiences and the things they had to go through in camp from time to time. No one really expects much when going to camp because of much is expected, you might end up being disappointed in the long run, depending on where you are posted to, so it is more advisable that you as an NYSC candidate, you are very neutral about the camp experience, and if you end up having a lot of fun, you would be amongst the luckiest, but if you end up having little or no fun at all, then you would not be in any way disappointed with yourself and with the camp at large. Some people want to go to different places for NYSC because of the things they have heard about such a place, but the truth is that things change from time to time, and a camp that was very lit and interesting last year, might not provide so much this year, but nevertheless, everyone has to make their own experiences out of camp one way or another, as you cannot be in camp for a period of 3 weeks and not do something at least for yourself. In camp, there is no room for loneliness, as everyone interacts, irrespective of their culture, their heritage, and even their age. In camp, everyone is on the same level, and you give the treatment you want to receive from people. There have been cases and reports of people misunderstanding themselves and engaging in physical battles, but this only means that these people have not really gotten to the level of friendship that the NYSC camp program was enacted for in the first place. This article would be dwelling majorly on the camp experience in Federal Capital Territory, Abuja, and being the capital of Nigeria, there are a lot of things to be expected from the camp. Abuja is a place normally regarded as Nigeria’s own London or in other cases known as one of the finest cities in Nigeria and having an NYSC camp here could be filled with so many memories and experiences at a go. The NYSC applicants in Abuja are only a stone throw away from the President of the country, and this is a huge advantage no matter what. Aside from being one of the biggest cities in Nigeria, this environment also holds numerous unique places that everyone in Nigeria strives to visit one day, and some of these places are; The National Assembly, The Aso Rock and so on. These places hold significant titles as they stand to be where major decisions regarding the country Nigeria take place. It is where most delegates of Nigeria, live and dwell from time to time, and even the President of the country is known to be living in the four walls of The Aso Rock which is situated in Abuja. The experience from the NYSC camp in Abuja might not meet your standards, but it is one experience you cannot say is not worth it any day. 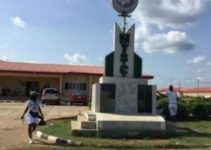 The NYSC camp in Abuja known as the orientation camp is located at Kubuwa Bwari, in Abuja, and it is the permanent campground. 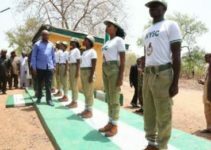 About 3,000 NYSC members were taken to FCT Abuja and this was revealed by the coordinator for NYSC in Abuja known as Bello Ballama. The camp experience started first with a registration process which commences every day of the week at 6 am for a period of one week. Many people were deployed to FCT, Abuja, and most of them were from the Eastern and Southern parts of Nigeria. One of the first registered NYSC members was a man named Mr. Unachukwu Chiemelie who hails from Anambra. Also, the coordinator for the camp emphasized on the need for on-ground security at all times throughout the camp areas. He also mentioned a host of people that were put in charge of the security of the camp and some of them were the Police Civil Defense, The Man O’ War troops, The Army, and some people from the State Service. All programs conducted in the camp were to be duly attended by all corps members except for when some of them were sick and hospitalized. As part of the camp experience, every corps member was to come to camp with a copy of their full medical reports, for the coordinator and his staff to know the health status of every corps member and know how to administer drugs from time to time. There are also anti-natal services for pregnant corps members and HIV orientation and drugs administration for people who find themselves in that category, as no chances can be taken, said the coordinator. The corps members were also given adequate accommodation and utility facilities which were durable and sustainable for the camp period. The coordinator also advised corps members to he diligent and conduct themselves in the best way possible as the camp does not indulge immorality and carelessness. The coordinator of the camp also encouraged the staff and security on duty to be very available for the corps members and attend to their needs at all times. He also advised that there should be cooperation and coordination amongst the staff members at all times, as there was no room for the division of any kind. The experience at the NYSC camp in Abuja is one of a kind, and the corps members usually enjoy their stay there. The camp also receives notable guests like governors who come to visit from time to time and have fun with the corps members. There is the jogging experience which happens every morning, the food, the spirt activities and even the dance activities that happen in the camp. People never want to leave camp, but all those experiences soon come to an end after three weeks, but the good thing about the NYSC camp in Abuja is that corps members always want to talk about their experiences, they always want to communicate with people and let them know just how much they enjoyed their stay in the camp. 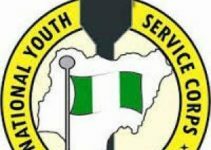 The NYSC camp experience in Abuja is one of the best and profound experience anyone in the camp has experienced and it could not have been a better experience for corps members as they are truly taken care of in camp.